Did you know that Lyme disease often takes up residence in the mouth, wrecking your dental and oral health? The damage the disease does to your mouth can further weaken your already-fragile immune system, setting up a dangerous downward spiral in your health. Root canals can be a culprit that allows diseases to settle in the mouth, and traditional dentists often choose to overlook this possibility. Many dentists still promote root canals as a way to get rid of problems instead of seeing them as a procedure that may cause overall health issues. Natural and holistic medical professionals often overlook a primary source of toxins in the body, the mouth. 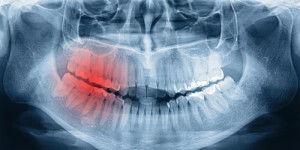 But Lyme disease and other chronic diseases can be fed by bacteria that develop in and around root canals and elsewhere in the mouth – especially in the holes left behind where teeth have been extracted. Lyme disease may not reside in the enamel of your teeth, but it can be found in the dentin and the 3 miles of tiny tubules inside every tooth. Lyme disease spirochetes – or bacteria spirals – seem to love these kinds of areas. Antibiotics often don’t reach these areas, however. But it’s possible to mostly or entirely rid a mouth of Lyme disease, making it much easier for your immune system to kick in and get rid of the disease elsewhere in the body. Homeopathic and other treatments can get inside stressed, damaged, bacteria-harboring teeth and get rid of disease. The focal theory of infection says that the oral cavity produces some particularly nasty toxins that can poison your body if you’ve had a root canal or extraction – even one that seems to have gone well. But this theory isn’t widely studied in the United States and is more popularly utilized in Europe. We take it seriously at Brighton Dental. When you have a root canal, the dentist leaves a dead tooth in your mouth. Since it has no blood supply inside it, bacteria can find refuge there, impacting your oral and overall health in a variety of negative ways. Antibiotics can’t get inside a root-canaled tooth because they circulate through the bloodstream, and there’s no blood supply in a dead tooth. Even worse, the material that dentists pack inside dead teeth shrinks and pulls away from the tooth over time. That makes it easy for bacteria to get in. Extractions sites are also particularly dangerous because they may not heal correctly. When healing doesn’t go as it should, fatty tissue can fill in the space that’s left behind – lining of the socket. The only cure is to open the socket, clean it out and allow it to heal properly. Even the tonsils can be impacted by Lyme disease bacteria that’s harbored in the mouth. When you have Lyme disease, your body is weakened. But clearing up the disease may never be possible without dental intervention to clear away the places where the disease can hide. At Brighton Dental, we’re experts in safe, non-toxic holistic dentistry designed to work with your body rather than against it. We can help you get rid of old root canals and toxic metals in your mouth and fix sockets that haven’t healed correctly. We can provide specific dental treatments that improve your dental health and contribute to your overall health too. Why not contact us now? We want to help you achieve total health. At Brighton Dental, we can help even the most apprehensive patients enjoy the dental process – and enjoy a better life. And it all starts with a call – (619) 640-5100.